Toptal stakes their reputation on only offering the best; the top 3% of performers to be precise. We’re talking former Disney, Google and MIT developers and designers, Top 100 Rails contributors and Django committers, stars from Morgan Stanley, Lazard, Barclays, and Wharton and MIT MBA graduates. No B-Teamers in sight. Finding the right person for a particular project—with the right experience and the right tactical skills— is a very difficult task, especially when you’re trying to find them quickly enough to avoid unnecessarily lofty costs from fruitless interview cycles and delayed product launches (depending on company size, it is generally taking well beyond a month to fill roles for highly skilled employees). For its embedded diversity and speed-to-engagement, the Freelance market has become a popular (and dense) talent pool from which to find good people, especially in the fields of software development, UX/UI design and finance. With an explosion of freelance resources in those fields, however, has come a greater challenge in not just knowing who is among the eligible, but more importantly, who is among the best. It is with its track record of successfully addressing such challenges that Toptal, through thorough methodology and extensive access to expertise, has bubbled up as one of the premier freelance networks in the world. There do of course exist classic search companies, indiscriminate job listing platforms, and platforms that offer testing tools and other relatively hands-off “creative” alternatives for talent evaluation. There is a reason, however, that some of the world’s most recognizable, growth-oriented brands tap into Toptal for software and finance talent, from Airbnb, Udacity and Thumbtack to Fortune 500 companies like Pfizer and J.P. Morgan. To start, Toptal stakes their reputation on only offering the best; the top 3% of performers to be precise. We’re talking former Disney, Google and MIT developers and designers; Top 100 Rails contributors, and Django committers; finance experts from Morgan Stanley, Lazard, Barclays; Wharton and MIT MBA graduates. Literally no B-Teamers in sight. It starts with a comprehensive screening process the company has developed to reliably surface only the most intelligent and talented of freelance applicants. The company’s 5-stage funnel focuses on the following: Language & Personality (fluent English, passion, drive and engagement), Skill Review (technical knowledge and problem solving abilities), Live Screening (domain experts administering live tests to judge depth of experience, communication and creativity), Test Projects (real-world scenarios over 1-3 weeks to test thoroughness, professionalism, and integrity), and Continued Excellence (only rave reviews from Toptal clients). Only about a quarter of the freelance applicants pass the first screening stage; by the end of the process, those that remain are truly top of their class. The Toptal network also covers just about every base on the field. How multi-functional the Toptal talent pool is cannot be overstated; anywhere from designing a product, to building it, to pricing it and launching it, there is an expert there that fits the bill. Their software engineering network covers expert developers from Android, iOS, Java, Python and PHP all the way to those specialized in HTML5 and proprietary systems like SFDC and WordPress; their designers have backgrounds covering graphics, icons and mobile app interfaces, as well as UX flows and information architecture; in their finance portfolio, you’ll find resources versed in areas ranging from financial modeling & valuation and pricing analysis to fundraising, M&A and market research. Even though all the options are there for the picking, Toptal takes an extra step in ensuring an optimal freelancer fit by assigning Toptal Matchers (senior-level developers, designers and finance experts who have passed the screening process themselves) to each client. Those matchers work hand-in-hand with each organization to thoroughly understand the strategic and technical requirements of their projects and then custom-match them with a 3-percenter who is perfectly fit to execute. It’s highly personalized, but it’s also highly efficient; matchers generally introduce only 1-2 candidates prior to the client initiating the engagement. If you’re looking for a senior level development, design or finance expert, and both time and quality are of the essence (when are they not? ), then taking a look at Toptal is probably a good idea. There is no fixed recruitment fee and they even offer a zero-risk model; all freelancers added to your team start in a trial period, so you only pay if you’re satisfied with the work product. 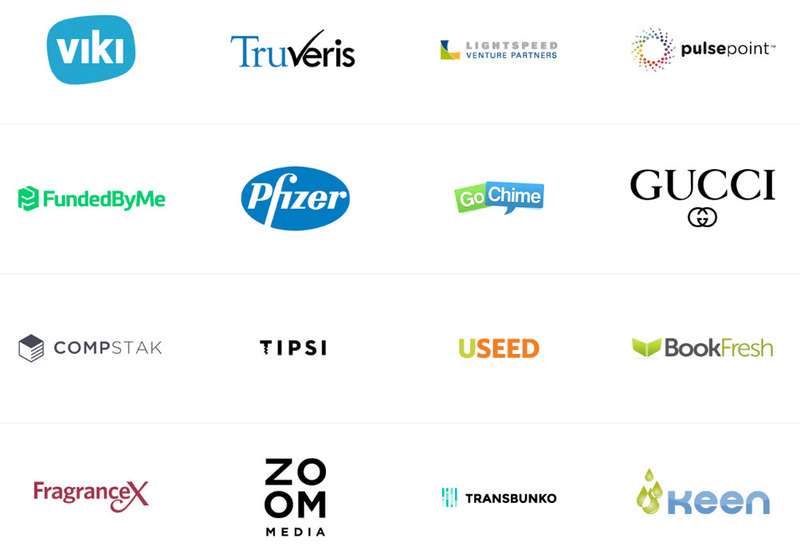 As one review said on CNBC, Toptal “…kind of owns this market,” and you don’t kind of own a market like this unless you’re working with some pretty incredible people. This article has been sponsored by Syndicate Ads. Thank you for supporting the partners who support SnapMunk. I have worked with and beside freelancers for a long time. I have seen some very bad situations get worse with a bad worker. Especially if it is one that cannot understand your language very well. I would take a service like this in 2 seconds as I know it will save me time. Hiring out work to freelancers is something that is affordable for businesses these days, especially startups. Having a system like this that can set apart the top prospects will save a company time and money when searching for the right person.